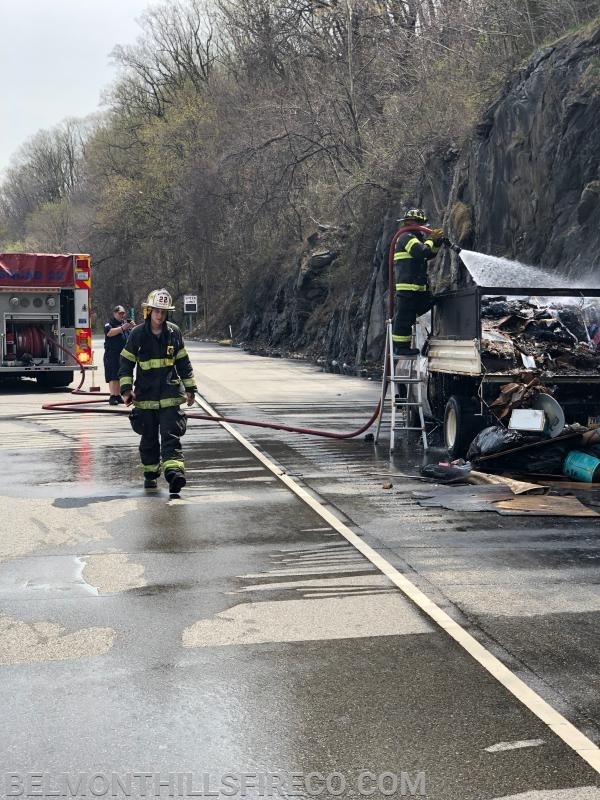 The company was alerted for a vehicle fire at 1259hrs today at MM337 Eastbound on the Schuylkill. Squad 22 responded and was advised of a medium sized stakebody truck on fire. Engine 24 from the Gladwyne Fire Company was called to assist along with mutual aid from Squad 39 (George Clay - West Conshohocken). Once on scene, firefighters extinguished the fire and mutual aid companies helped with overhaul.